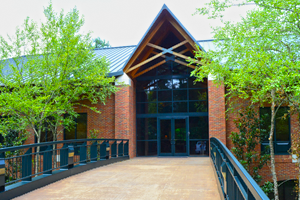 We are centrally located at 368 Highland Colony Parkway, Ridgeland, Mississippi, enabling us to serve our clients throughout the state and in the Southeast. Our offices are just a few miles north of the state capital, Jackson. We are only minutes from the seat of Mississippi’s government and in the midst of its business and financial centers as well as its state and federal courts, administrative arms and the state legislature. A short distance to our north is historic Canton-the location for several feature films such as John Grisham’s A Time to Kill, the Coen brothers’ O Brother, Where Art Thou?, Willie Morris’s My Dog Skip, and Eudora Welty’s The Ponder Heart, to name a few. Canton is also the site of one of Nissan’s automobile manufacturing plants. Our offices are in the heart of south Madison County which is noted to be one of the fastest growing areas in Mississippi. McKay Lawler Franklin & Foreman, PLLC wants to hear your questions and comments. Please use the information below to contact us. One of us will respond promptly.